Police chief asks owners to control their animals. "Chasing children, chasing cars, defecating in neighbor's yards, fighting with other dogs and causing traffic problems" are some of the headaches cited by Hailey police with a recent upswing in the number of dogs running at large in the city. "We've got an issue," Hailey Police Chief Jeff Gunter said Wednesday. "We're dealing with more frequent complaints. The dogs are becoming a problem and we need to rein in the pet owners. "We probably get 10 to 12 calls a week, but we see just as many dogs on our own as we get calls." Hailey has a leash law. The city ordinance requires that dogs not on their owner's property be either on a leash or within voice-command distance. Otherwise a pet owner can be issued a misdemeanor citation, punishable by a fine of up to $300 and subjecting the owner to animal shelter impound fees. "We're going to be targeting dogs running free and there's nobody around," Gunter said. "We want to give fair warning that we're ramping up the effort and we're asking people to rein in their dogs. "We're taking dogs to the pound all the time that we see running down Main Street. We catch them and we take them to the pound." 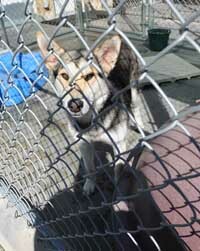 Gunter said the worst dog problems are in the Woodside and old Hailey areas of the town. "We encourage pet owners to take the necessary steps to make sure their dogs are safe and that their dogs are good neighbors," Gunter said. "Dogs with some basic obedience training are less likely to roam from the property. "Consider spaying or neutering your dog, along with licensing them and having a good collar and ID tags. Many times police officers can unite a lost dog with the owner before the animal needs to be impounded."